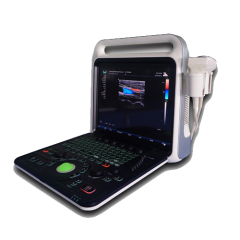 The Echo( 4D) is 4D color doppler ultrasound diagnostic system. imaging of this model adopts the current advanced synchronous driven volume probe and 4D software, and stabilizes the image scanned by the probe in real time. It can observe the facial expressions of the fetus in real time and leave precious growth record video for people. Systemic applications include abdomen, obstetrics, gynecology, blood vessels, small organs, urology, neonates and pediatrics. Includes scanning modes such as B / CFM / PDI / PW / CW / M and provides excellent resolution and sensitivity. Support convex array probe, linear array probe, convex probe, cavity probe, phased array probe, 4D probe. 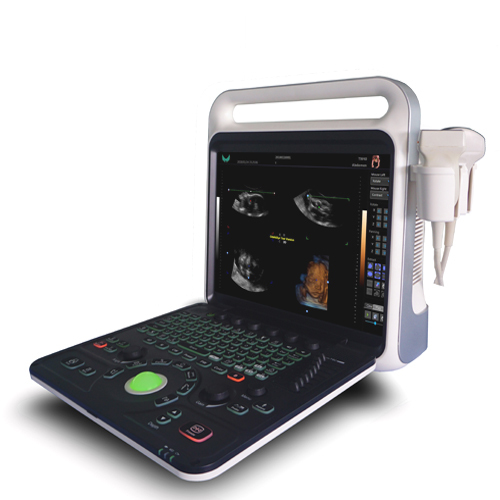 Integrated network ultrasound workstation, support for DICOM transmission. Using embedded computing system, the system is safe, stable and high-speed operation into one. B mode: distance, area (track method, rectangle method, ellipse method), perimeter (track method, rectangle method, ellipse method), volume (double plane method, area length method, ellipsoid method), angle, ratio, stenosis rate. D Mode:Doppler blood flow measurement, velocity, acceleration, pressure gradient, time, velocity integral, pulsatility index, resistance index. Arrow mark, support multiple arrow marks and adjustable direction. Range of application: Systemic applications include abdominal, obstetric, gynecological, cardiac, vascular, urinary, small organ, breast, pediatric and neonatal imaging, fetal heart imaging, puncture, etc.